Opatija has always been a place for a unique and unforgettable pleasure of gastronomic experience. Some of the best Croatian restaurants can be found in Opatija offering traditional Mediterranean and continental dishes with innovative variations of the modern cuisine and using all the local ingredients like fish and shellfish that comes from the Adriatic sea, the fruits and vegetables from the local farms, full of taste and prepared with passion by some of Croatia's finest chefs. Each season in Opatija has its own specialities, always interesting and creative: wild asparagi and cherries in springtime, sweet chestnuts in the autumn, fishes, Kvarner lagostines (scampi) and shellfish fresh from the Kvarner Gulf , Istrian pršut and Istrian truffles, home-made cheeses that all can be enjoyed in Opatija's restaurants, that varies from the ones that have preserved longtime tradition to the ones who successfully combine it with new trends in gastronomy. That diversity and the tradition combined with high gastronomical standards are the reason why Opatija’s restaurants regularly win top positions in many different lists of best restaurants in Croatia and Europe. 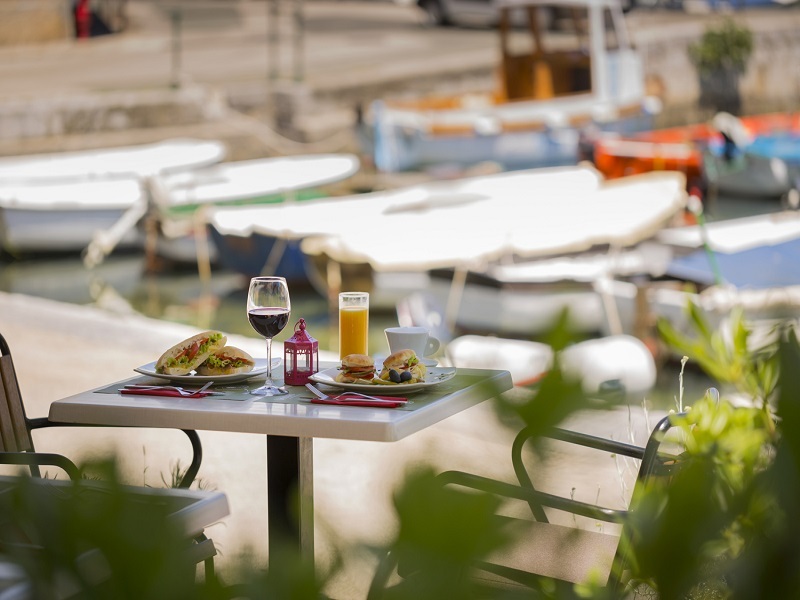 Located in a very heart of Volosko, in the middle of the harbour called "Mandrac" this restaurant offers a vast choice of pizzas, which are by many quests described some of the best in the entire area.